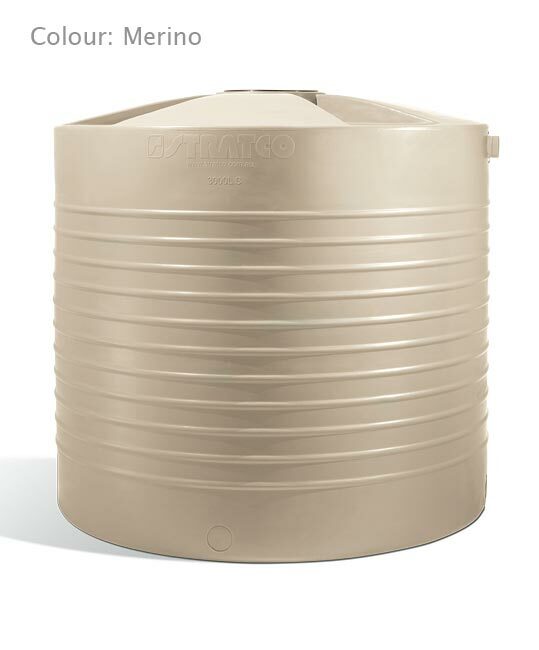 Modern and contemporary style is embodied in the extremely durable and practical Stratco Aqua-Line Water Tank. Manufactured from food grade polyethylene they feature a clean, smooth surface with thin, attractive strengthening ribs. 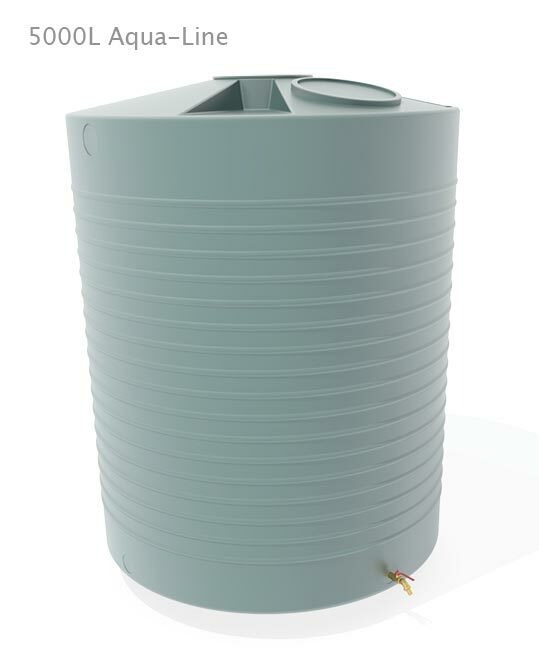 Manufactured in one piece from rotomoulded plastic, Aqua-Line Water Tanks use this advanced manufacturing method to deliver one of the strongest, cleanest and most durable rainwater tanks available. The polyethylene used is protected against ultraviolet rays and forms a thick wall that has excellent impact resistance and will not corrode. 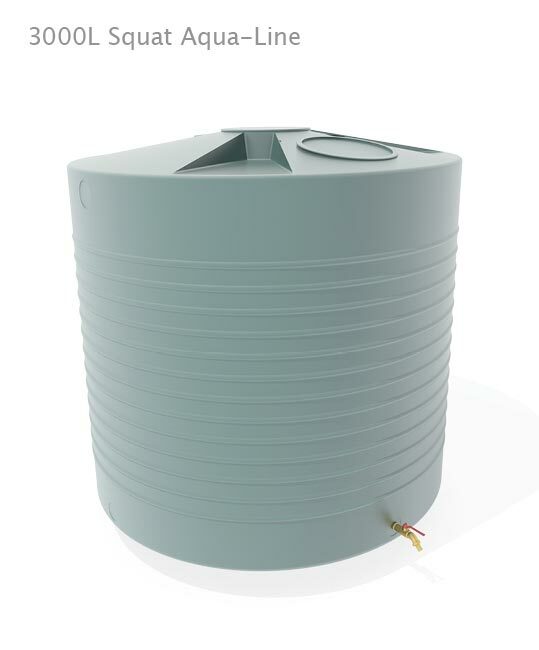 The water tank is maintenance free and easy to move and relocate. 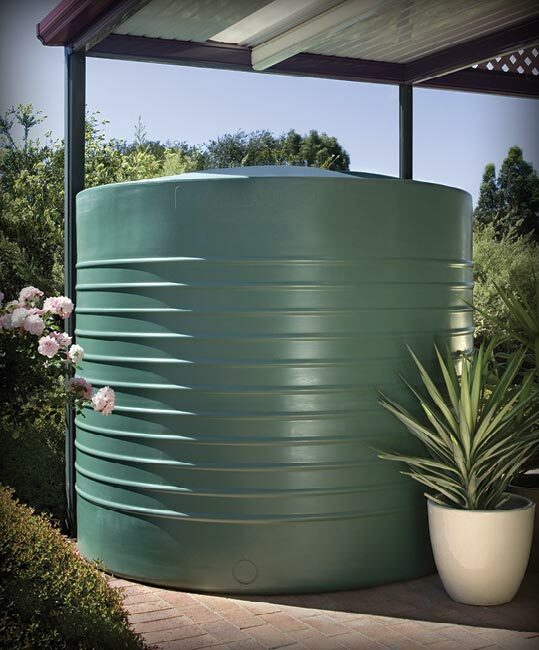 Aqua-Line Rain Water Tanks are engineered and tested to meet all relevant Australian Standards. 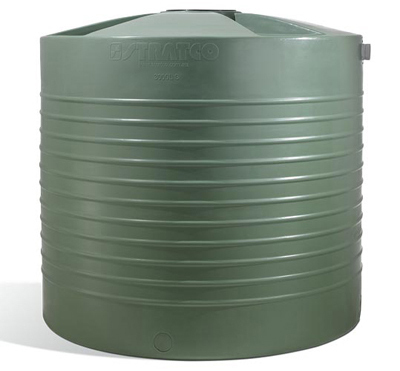 Two sizes are available; a 3000 litre and 5000 litre. 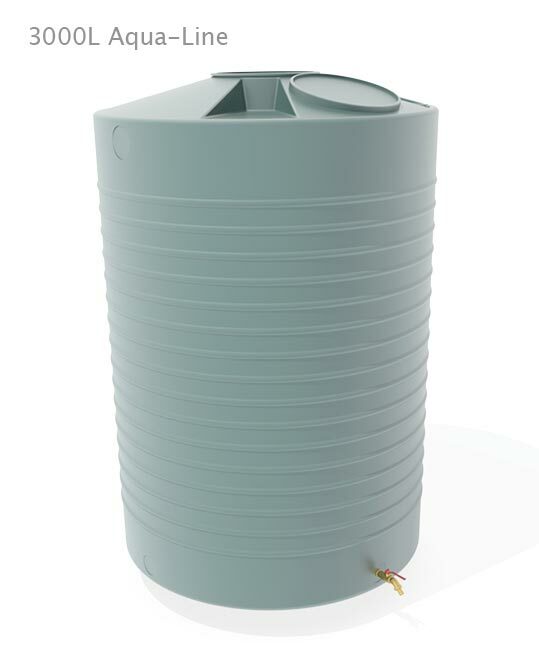 Choose from a range of poly tank colours. 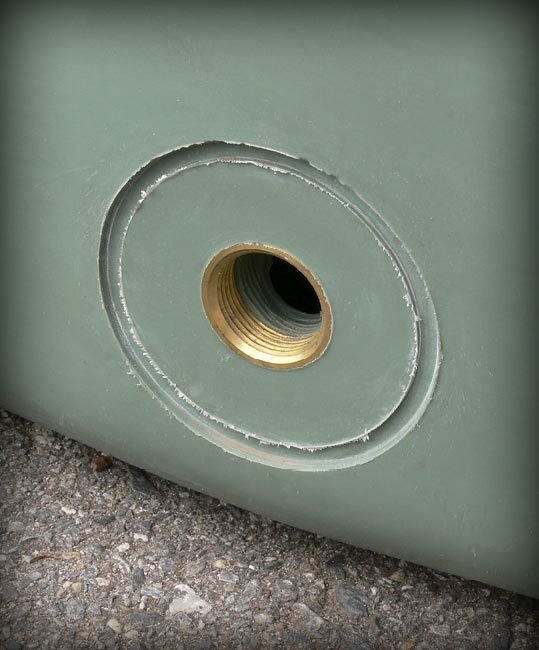 Brass outlets are moulded into the tank at the time of manufacture for a watertight seal. The outlets are available in either 1” or 2” diameters. The outlets can be located in one of four locations around the tank. A 300mm inlet that also acts as a leaf strainer and inspection point is standard. 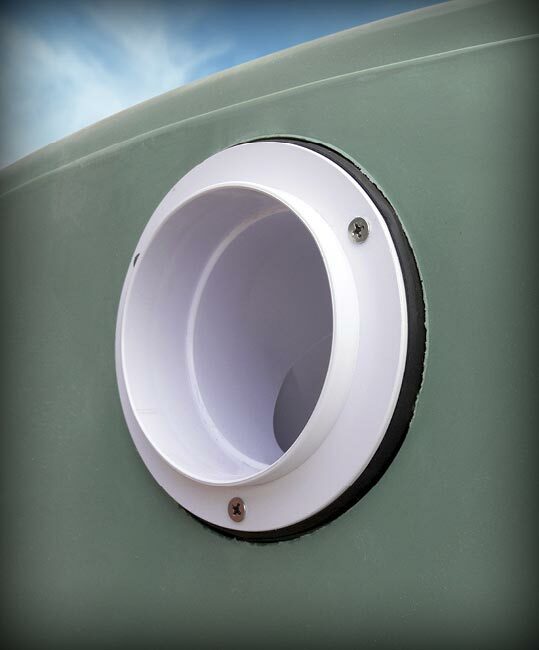 An optional 400mm inlet with light guard is also available. 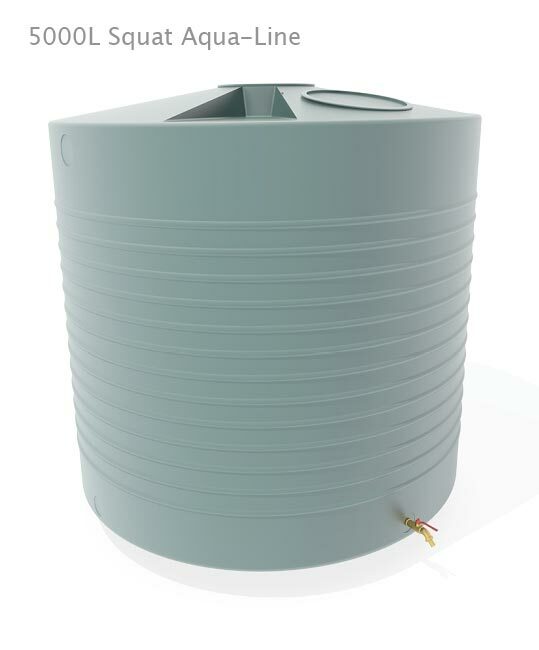 The 90mm overflow can be positioned on either side of the water tank. All the fittings are protected with mosquito proof mesh.